I was 34 when I had N. Before then I didn’t think I wanted children, but then realised that I’d regret not trying and that there probably wouldn’t ever be a perfect time to know when you wanted children. Thankfully it was a good decision, and we were lucky to have a successful first pregnancy and an easy time of parenting so far. 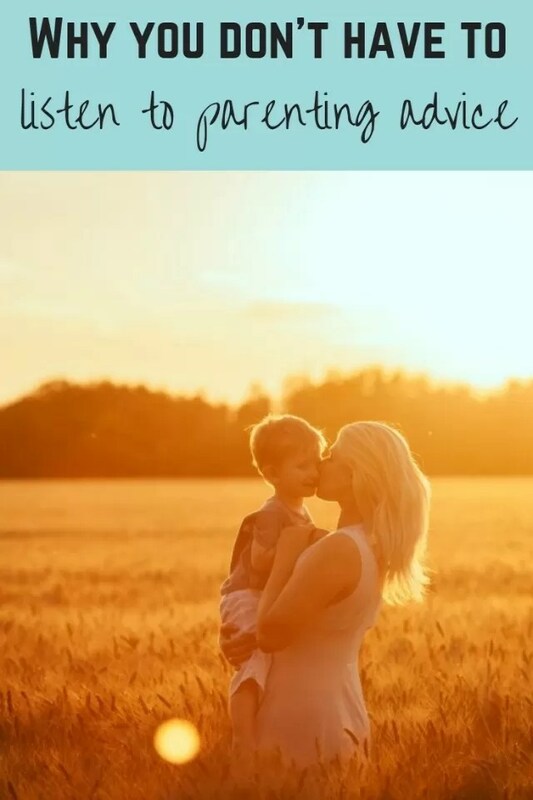 As a mum you get bombarded with lots of parenting advice, and it’s hard to take it in. It’s even harder if you’re in a vulnerable and emotional state to know which to pick and choose, and what to push back on. You’re not always sure whether you’ll have the parenting skills to bring up your child well. Having experience in life and self confidence made it so much easier for me than maybe for younger mums. I’d worked for a while with people of all ages and experience. I had friends who’d already had their 2 children. And I’d had time to make opinions and decide what I thought I wanted to do as a mum. I was also lucky in that all the family live nearby so had the support if needed. Advice (and interfering opinions) comes from lots of different angles when you’ve a baby (and before). From friends and family. From magazines, tv, books, online. From social media. Online baby forums. From your memories of what your parents did and taught you. From people going through pregnancy and baby stages as a first time mum or from those at the end of the journey. Parenting advice doesn’t stop once you’re out of the baby years. It continues with information coming at you from nursery and school, with their information often coming from the government. We all want our children to be happy and healthy, but we also know our children and what works for us. Here’s some of the things I’d like to claim I followed but didn’t. And N’s is healthy, rarely ill, and has a nice calm attitude, and an empathetic personality. He’s also an easy child to parent so it’s worked for us. Letting babies cry it out is cruel. Hmm, well I tried Gina Ford and that routine didn’t work, so I just went with what N wanted to do. His routine ended up being quite similar to hers but we adapted it. He would usually drop off to sleep fine, but occasionally he wouldn’t settle. So sometimes we would just let him grizzle. It was never a painful cry, just moaning. And it didn’t last for long before he quietened then slept. I only remember it happening twice. The best thing we did was turn off the baby monitor when he was older. It stopped us hearing all the little snuffles and shuffles, and we didn’t interupt him when we didn’t need to. Only 6 weeks here, because N was so big and violent in his sleep in the moses basket, I was worried he’d tip it over. Moving into the cotbed meant he slept so much better, and feeding him at night was much quieter for when the OH need to keep sleeping. Formula has to be made up as you need to use it. Well, yes. But when your child goes from fine to screaming with hunger with no notice of a routine, I couldn’t wait to boil the kettle, make the formula then wait for it to cool enough to feed N. Once I realised this, I would make it up in the morning and evening, pop it in the fridge, then would just need to take a bit of the chill off by sitting it on the aga for a minute. Nowadays more parents do baby led weaning but I’d decided that baby led weaning had so many more positives and it would involve less effort. When N was a baby the rule was no weaning until 6 months old, and especially with baby led weaning you need to make sure they’re ready for it. At 5 1/2 months old, N was grabbing at food off plates. He’d been able to sit up on his own from 4 months. And had good hand to mouth coordination. So we started BLW. The only one in our NCT group doing BLW, it worked really well for N and us. The health visitor wasn’t concerned about us started before the 6 months point. We shouldn’t shout at our children and saying no is bad. Sometimes both are needed. When a child is about to run out in the road, or about to touch a hot oven. When they’re in danger. A short sharp loud ‘no’ is pretty much essential as it gets the child to stop. When you’ve asked your child several times to do something and they’ve still not done it, are you really going to go and chat nicely to them again to get them to listen. If I’ve already tried that several times, and I’m trying to get several things done at once and get out the door for school, a bit of a shout isn’t going to do any harm. When N was younger, no used to be said a lot (by him as well as me). Thre were plenty of times I left things go, and said yes as well. But children can’t always have their own way and need to learn the word no. Plus of course, if they see people saying no, mayb in future they’ll learn to say no and not be a walk over always feeling they have to say yes. If they work I’m there. Tbh, they got mixed results here, but if they work and get children into a habit they can take forward, then I’m all for doing reward charts. Screen time is a hard one. I’m all for restricting screen time because N watches way too much Youtube. He’s now discovered a Farming Simulator game as well. But it’s very hard to do. He wakes early in the morning, earlier than me. He can then get the tablet out. The rule is that he should do some reading or writing before the tablet goes on, but I’m not there to stop it. If he didn’t play outside much I’d drag him off the screen. And if his attitude and temper was impacted by what he’s watching I’d stop it, but so far I’m not too worried. My view on parenting advice is that it’s just that. Advice. Not law, not regulation. But advice or opinions from other people. From their experience or research. All children and families are different. If you’ve done your research. Made informed decisions. If you’re thinking about what’s best (and safe) for your child and the family, then what advice you take on is your decision. Did you follow lots of parenting advice or do your own thing?